We are well accustomed to embedding video, or consuming video content across websites and social media. But what about video and other interactive content embedding in video? This is Touchcast. Video that's immersive and interactive. And classes at Singapore American School are starting to embrace the concept which we will show you in this session. Plus: it's pretty easy to jump in and make something that's great, with enough features to keep the journey interesting for those looking for more of a challenge. 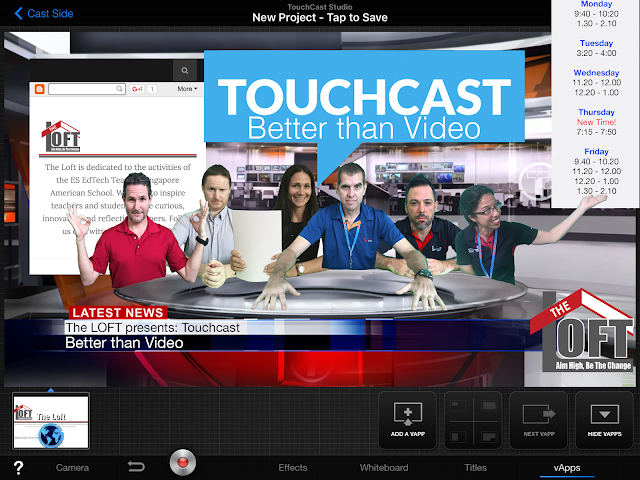 Download the TouchCast app. iOS only at this stage.